Graham Jones is an Internet Psychologist who studies the way people use the Internet and how they behave online. He uses his findings to help businesses improve their use of the Internet, in particular to enhance marketing and sales. Graham is a Visiting Lecturer at The University of Buckingham and an Associate Lecturer at The Open University. He writes for magazines, newspapers and digital publications as well as for his own blog on Internet Psychology. Graham is the author of Click.ology: What Works in Online Shopping which includes his five-step "CLICK System" for analysing websites from a psychological perspective. You can connect with Graham at LinkedIn or on Twitter. Website visitors do not want obvious personalisation as much as they would like to believe something is personal The chances are you have received an email addressed to “Dear [First Name]” or similar? Email marketers appear to forget to include …..
Are digital marketers offering too many choices? Web users are becoming paralysed by the psychology of indecision as a result of being faced with too many options to choose from I believe digital marketers are offering too many choices to their website visitors. Visit almost any web ….. The massive volume of analytics data can confuse and point you in the wrong direction. Here’s how to understand what your website visitors are really doing… Web analytics can be extremely useful, but it the data can also be a curse. …..
People still love print – sometimes more than digital – so enabling good printing is essential for online marketing success Internet marketers live in a digital world, but they should not forget printed documents. In this article you will discover: ….. When businesses use eye tracking data to help them design their website they could be missing vital information about their web visitors Eye tracking studies are undoubtedly useful. Let’s get that fact out-of-the-way first. 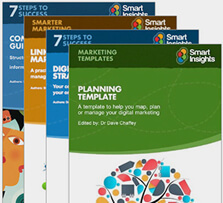 These specialist studies show exactly where …..
How price, type size, position on page and the colour of prices can all impact on whether people click the buy now button The ultimate goal of marketing, of course, is to get people to buy. That means, that in …..